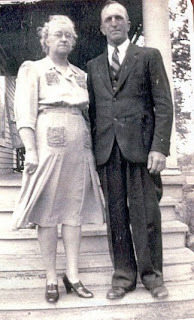 I have been thinking of my Grandmother and Grandfather Gauger for a couple of weeks. I have looked at their photos and feel much tenderness and sweetness towards them. I do not personally remember their trip to Utah that Dennis talked about, but know that Dad and Mother loved having them here to visit. Dad and Mom would remind us whenever we were riding in the mountains in American Fork Canyon that Grandma and Grandpa were in awe of the mountains and even frightened of the heights when they were on the Alpine loop road. This made an impression on me and to this day, I think of my Grandparents when on the loop road and look at the heights and expanse of the mountains and usually relate to whoever is in the car of my Gauger Grandparents experience. The road trips to Iowa are some of my favorite childhood memories. There were no freeways and so the roads were two lane roads and to a child seemed endlessly long. Dennis spoke of the games that we would play. My Dad and Mother used to laugh and laugh at the Burma Shave signs. I remember looking forward to stopping at the gas station. The three of us always bought a comic book. We each bought a different kind and then would trade with each other. My favorite was Little LuLu and I believe that they cost 5 or 10 cents each. 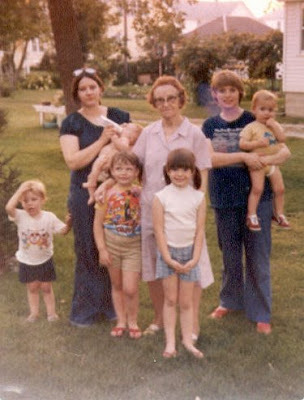 I loved Grandma and Grandpa’s home and neighborhood. 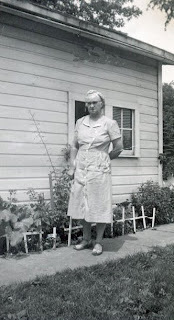 The Kool-aid water, the smell of pipe tobacco as we would enter on the side door of their house, and the large trees that lined the street are just a few of my pleasant memories. My Dad was always so happy and full of laughter on our visits to Iowa. He was home among friends and family. This letter gave me great insight to my Grandmother and I fell in love with her and as I read it again now I feel great empathy and love for her. On a trip to Utah from Connecticut, via a stop in Maryland to pick Linda up, Me, David, Linda, and our combined five kids (in one car) stopped to visit Grandma in Iowa. She was warm and happy to see us. We were happy to see her and it was the last time that I saw her. There is a special bond between a granddaughter and a Grandmother. I look forward to seeing her and Grandpa when we all gather again. 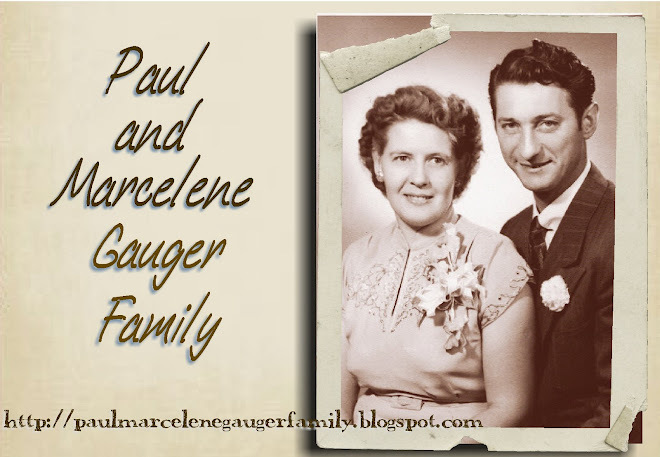 So cool to read this...mom doesn't talk much about grandma and grandpa Gauger from Iowa...but she does mention how much fun the visits "back east" were. This is so wonderful, Polly. I have written my memories and want to add a couple of pictures that I have, so will get that posted soon. 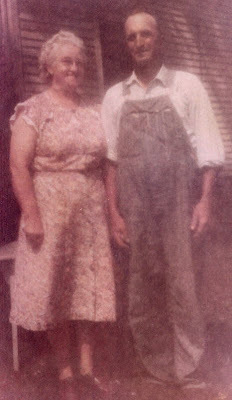 I feel such love for my Gauger heritage and Grandparents. What great memories you share and to have a letter from her that you kept was wonderful. I love the photos, especially the one with you and the kids. Thanks for sharing.